Elyse Kahler (b. 1988) holds a Doctorate of Musical Arts from Texas Tech University, a Master of Arts from the University of North Texas, and a Bachelor of Music in Composition and with All Level Certification from West Texas A&M University. 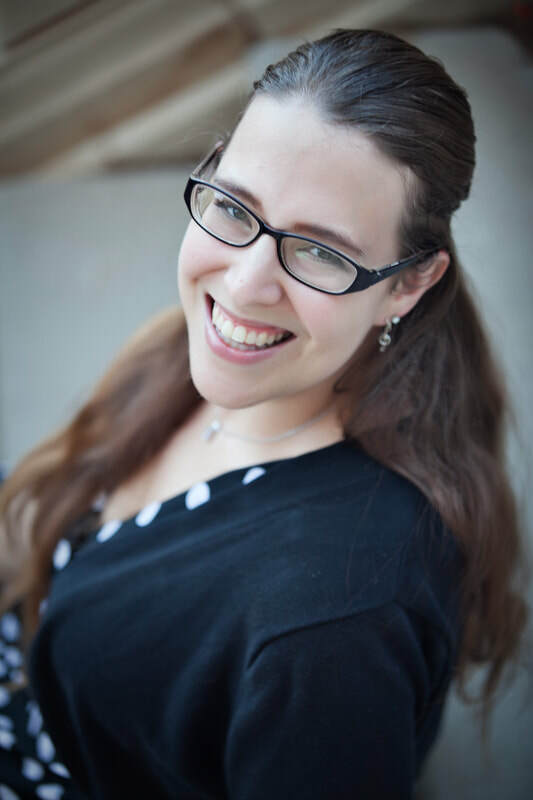 ​She writes for a variety of ensembles and levels, and has particular interests in fun and engaging music for middle school students and inspiring music for the modern church. Elyse is a member of the Equinox New Music Collective, a group dedicated to bringing contemporary music to new audiences. Recent projects include Perspectives, a chamber work with modern dance and film in collaboration with Anne Wharton; The Ides of March, a chamber work for Bent Frequency, based in Atlanta, GA (through the Charlotte New Music Festival); and Clarinet Quartet No. 2 for 15:19 ensemble in Pavia, Italy (through the highSCORE Festival). In her spare time, Elyse loves reading, knitting, and playing games (board, card, video) with friends. ​Like what you hear? Contact Elyse here to purchase music or discuss commissions.